Unique and different Beautiful complex rum, smooth and rich, with a lot of cognac tones, but still with agricole freshness. Rum heaven This is must have rum. Pure marriage between spirit and wood. So easy, so smooth, so Barbados. Proper rum Sophisticated rum for sophisticated drinkers, real craftsmanship. Great for almost anyone Well balanced, a lot of taste, sweet but not so much. I don't know anyone who doesn't like it. Piece of creole cake I wasn't big fan of spiced rum until this one. Love it with hot apple juice. Just a perfect rum I love this rum - so smooth, so rich, without any sugar. Cuba in best form It's proper Cuban rum in top condition. Smooth, rich, perfectly balanced. Number one for Old fashioned. Masterpiece Lovely harmony, perfect balance between sweetness and wood. Fantastic balance Everything in perfect harmony. Just close your eyes and enjoy this rumeditation. Dark side hogo Funky Jamaica mixed with a lot of dark fruits, oak and spices. Charming and mysterious. Nice and smooth Really pleasant rum but with very short aftertaste. Viva El presidente Truly great rum, wonderful smell, but little bit oversweet for my taste. Complexity and balance A lot of flavours in almost perfect balance. 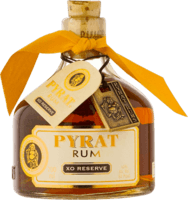 Great rum for great price. Awesome smell Great smell with a lot of flavours, smooth and balance taste... really nice surprise. 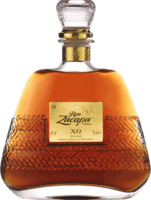 Very nice Nice and complex rum with a lot of layers to discover. Iconic So much flavour, it's bold and round with strong taste of Jamaica. Old fashioned in the bottle Real rum, real fruit, real spice. Just add ice and you have nice old fashioned. One of the best whites Premium mixer for premium drinks, but enjoyable as a sipper, especially with ice and twist of lemon. Strong cane character Wonderful rhum with a lot of grassy and floral cane notes in nose and taste. Rhum with character It's classic agricole with pretty strong flavour. Great for ti punch. Wood and cane Nice marriage between wood and cane, fruits and oak. Xmas cake Unique Xmas cake in liquid form. If you like spiced rum, this is absolutely must try. Balance Nice balance, but you need to let it breathe for a while. There's a lot of flavours, maybe could be little difficult at first taste, so keep tasting. Smooth and woody Nice sipper, dry and big influence of wood. This is how a latin rum tastes before tons of sugar is added. Spicy Jamaica It's classic fruity Jamaica with more spice, wood and long warm aftertaste. Excellent mixer and nice sipper. Nice sweet rum It's dark, creamy sweet rum, great for the price, for me better then Diplomatico RE. Nice sipper for beginners. Big surprise Far beyond expectations for that price, flavourful classic Cuban. Average agricole This is average agricole with a nice clement character. Nice agricole Nice and classic agricole with pleasant aftertaste. Bajan standard Great introduction to Bajan style, very easy to drink, great mixer. Lovely nose Taste is not so good as smell, but still very decent rum, great for mixing. Gentle Agricole It's smother than other white agricoles, good as an introduce to this rum style. Orange elegance Nice and harmony marriage between agricole and orange. Proper navy It's fine essence of navy rums, great for punch or grog. 7y with more wood It's similar to 7y, but more expensive and in my opinion 7y is little bit more balanced. Easy and nice Easy sipping rum, pretty light, great price. Perfect for fruity cocktails. Ladies choice At the first it's not rum. It's liquor. At the second your wife will love it. So what. Simply elegant Compare to Varadero 7y - less smoke, more vanilla. Nice and easy rum for this price. Good everyday rum Good mixer, nice sipper for everyday use. It's cheap, light and easy to drink. Original and different It's not bad at all, but not my cup of rum. Too much sherry for me. Orange tree in the bottle Smell and taste like an orange infused rum liquor, not so sweet like others. Good with ice for aperitif, nice mixer for summer days. Nothing special One drink like desert after dinner? Why not, but you can always find a better choice. Sugar everywhere It's just about sugar without strength. Easy to drink but taste like liquor not navy. Unmemorable It's not bad, it's different compare to caribbean rums, but also very vague and unbalanced. Banana rum cake Sweet banana rum desert, nothing more nothing less. Nothing interesting This is so average, that you can miss it. And if you try it, you'll forget it soon. Weak mixer Yes it's better than Bacardi. That's all. Not so great for mixing, but it's cheap. Surprisingly drinkable Not so bad for mixing, if you are low budget. Maybe the best choice for this price. Average mixer Nothing special about this rum, usable for mixing. Absolutely nòt If you want to drink rum, drink rum, not cheap mass produced spirit with flavours. Vodka Poor Facundo Bacardi. Your name on the vodka bottle. And this vodka is bad. What a shame.